Mashing up the bombast of Marvel with the glory days of Pixar, Spider-Verse feels decidedly different—funnier, weirder, more daring—than most American animated movies. 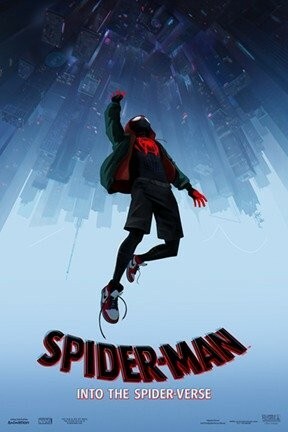 This is almost a meta, post-modern take on Spider-Man: Instead of being all about Peter Parker, Spider-Verse stars Miles Morales (excellently voiced by Shameik Moore), a kid who also gets bit by a creepy spider and also gets creepy spider-powers. But Miles—a Afro-Latino teenager who, for all his cleverness and heart, feels out of place at his fancy Brooklyn school—not only has a different perspective on the whole "great power, great responsibility" thing, but has his own obstacles to becoming a hero. Luckily for Miles, a whole slew of other spider-people from alternate dimensions show up to help him out. This is a big, fun blockbuster, but it's also the rare big, fun blockbuster that dares to have a strong point of view and a fresh, exciting personality. As Spider-Verse dazzles and twists, thumping to a hip-hop soundtrack and glimmering with every color in the universe, it captures the thrill, smarts, and irreverence that mark Spider-Man's best stories.